A see-through wrapper on a cereal bar hardly sounds like an innovation, does it? But when best friends Praveen Vijh and Preet Grewal stumbled across the idea while in Australia, they found it hard to believe that no-one in the UK had thought of it. 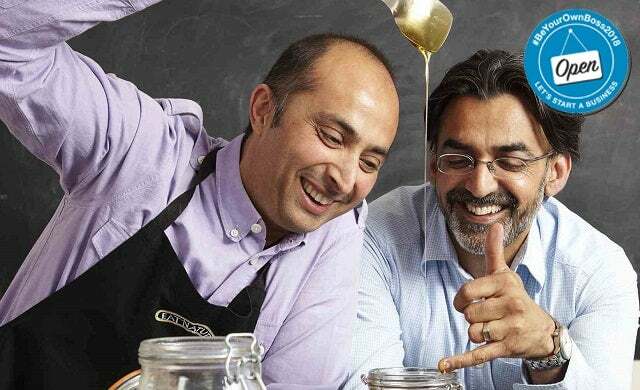 Inspired by the openness of the branding Down Under, Vijh and Grewal set to work creating their own health-conscious version of Oz’s fruit and nut treats for the UK market. Ever resourceful, the business partners scraped together enough cash for the venture and relied on a cement mixer to create their first batch of snack bars. The pair soon discovered it wasn’t just gym freaks and health-conscious foodies who were drawn to the transparency of their product, and Eat Natural’s simple bars and, later, its range of cereals appealed to mass market multiples Tesco and Waitrose, as well as health stores such as Holland & Barrett. Keeping things simple has come with other benefits, as the business partners have since successfully translated their brand across a range of countries including the US, India and Hong Kong. With export accounting for a significant portion of Eat Natural’s multi-million-pound turnover, Vijh and Grewal are continuing to introduce the taste of the outback to a growing roster of countries, including far-flung destinations Trinidad and Tobago. I was on holiday in Australia. There seemed to be a wealth of ‘natural’ snacks over there. We loved the way the Australians are so open and honest with their products, ideas, packaging and languages. We got thinking…and Eat Natural was born. We loved the idea of being ‘transparent’ and creating a product where people could see all the raw ingredients with their own eyes. We also loved the concept of a product which was deemed healthier than other snack bars, without compromising on taste. We were. Australia was just a lucky win. Preet and I are best friends from years ago and we were very keen to get into the food business. We loved our food on a personal level and just saw the gap in the market. But if it hadn’t been Eat Natural it would have been something else! It was quite hard. We scraped some money together and we bought some very basic machinery. In the very early days we had to mix our ingredients together in an old cement mixer! Our wives were a great help too. The four of us worked hard in our kitchens until we’d perfected the recipe. We talked to people. We opened our eyes, hit the streets and saw and tasted all the other products out there that we’d be coming up against. Both Preet and I are keen travellers and foodies. We spend as much of our spare time as possible eating in all sorts of different restaurants and tasting new things. We also get away a fair few times a year with our families and there are always plenty of food adventures along the way. We didn’t really change much from what we had seen in Australia, except that we made our ingredients a little more premium, adding things such as spelt and pumpkin seeds. We wanted to tap into the then growing trends for seeds and more unusual nuts such as walnuts and macadamias. We had about £20,000 which we used to buy some basic machinery and kit. We had to wait a bit and then it all started trickling in. We were listed in the Free From section in Tesco back in 2000 and we also had a major coup with Albert Heijn in Holland – a huge supermarket group – which kicked off our success on the continent. Each other. We talked so much in those early days. We also had wonderful families who were extremely supportive – this is very important. Research, research, research. Know your product area. Take constructive criticism and be on an ongoing quest to make your product the best it can be. We have lots of exciting new bars in the pipeline. I can’t reveal too much yet but we are creating all sorts of bars for ‘new’ Eat Naturalists.